Let your voice be heard! – Wireless Action – ACT NOW! Act now to save landlines — click here! As a whole, we have focused our interventions to stop the expansion of wireless radiation exposure at Local and State government levels. However, it is important to understand especially as it relates to 5G that these wireless initiatives and their funding are coming from the Federal Congressional level and the FCC. Attached is a summary of 115 new wireless related bills currently in Congress, approximately 40 bills of which seem particularly egregious focused on wireless expansion – the spectrum needed, the installation of small cells, the funding for deployment especially in rural areas, and the legal handcuffing of residents to say no to these bills for any reason especially health and environmental factors. The roll out of such a vast number of bills shows how aggressively and quickly the Wireless Industry through its congressional representatives is working to blanket our country with 5G ultra high frequency wireless radiation (24 GHz to 90 GHz) with transmitters every 2-10 homes. See attached Comprehensive List of Bills, or Summary of Bills That Will Have a Direct Impact on Wireless Development. See also the latest list of federal bills that will assault our rights! S.1682 – Airwaves Act— Proceeds from spectrum auctions would go towards expanding wireless in rural areas. You can read about this pro-industry bill here. Please contact the Senate Committee on Commerce, Science, and Transportation. S.1988 – SPEED Act — This bill would expand rural wireless broadband and remove barriers to 5G antenna siting. AT&T heavily supports the bill. You can read about this bill here. Please contact the Senate Committee on Environment and Public Works. MOBILE NOW Act S.19 & DIGIT Act S.88 & DIGIT Act HR.686 — S.19 and S.88/HR.686 follow in the footsteps of Section 704 of the Telecommunications Act of 1996 by effectively taking away our rights to oppose wireless facilities on the grounds of health or environment. This bill lays the foundation for 5G Networks and the Internet of Things (IoT) that will require a small cell transmitter every couple of homes emitting high frequencies – 24 GHz to 90 GHz – of wireless radiation. These transmitters will be put in public right of ways EXEMPT FROM ENVIRONMENTAL, HEALTH OR SAFETY REVIEW. See this helpful guide, this post from WhatIs5G, and this PSA from Cece Doucette to learn how you can take action! The focus should be talking face to face with our Congressional Members especially those who provide oversight to the FCC. Phone calls and emails to congressional offices has largely been our mode of intervening thus far with questionable effectiveness. Meetings with congressional staff do not get information to the congressional Members. The only way to be heard for certain is to MEET with Congress members themselves and demand they protect us from this reckless expansion and challenge their denial of wireless radiation health effects and confront their refusal to protect citizens on any level. The Congress Members are in Washington DC and in one day you can talk to 20 to 30 congress members. Of course YOU can meet with your individual representatives in your state home offices but all of the members of Congress need to be educated, NOT just the representatives from your particular state. They ALL need to hear from you at this critical juncture. CTIA/Wireless Industry lobbyists are in Washington DC talking to your representatives EVERY DAY. We need to do the same EVERY DAY in waves of people. IMAGINE if we had all the electrosensitive people, those who have developed cancer from wireless radiation, and those who don’t want small cell transmitters in front of their homes DESCEND on Washington DC continuously IN WAVES. Congress could not ignore the issue anymore. IT IS TIME TO TAKE ACTION NOW. THERE IS NO MORE TIME TO WAIT. If you meet with Congressional reps in your state AND/OR are willing to go to Washington, D.C. to lobby CONGRESS Go For It and email Brenda at brenschl@gmail.com. If you can donate your skills (clerical, organizational, computer, social media, legal, advocacy) OR can donate money for attorneys OR can write a TESTIMONIAL regarding your neurological or cancerous symptoms from wireless radiation exposure email brenschl@gmail.com. Is the Road to 5G Paved with Federal and State Pre-emptions of Local Authority? In other words, they need to remove public health, well being, and sentiment from the picture in order to speed the deployment of small cells, and to maximize profits. THEY NEED TO HEAR FROM US NOW! Call and Email the Offices of the Communication and Technology Subcommittee of the US House of Representatives Committee on Energy & Commerce to STOP the 5G Deployment Nationwide. Download all contact info for the subcommittee offices and their Chief of Staff and Subcommittee Staff members. Discuss the harmful effects of 5G, ask they include discussions of health effects, and suggest that 5G cannot be deployed because it is unconstitutional and Senators and Representatives took an oath to defend the Constitution! Also see a more detailed list of subcommittee members, Chief of Staff, Subcommittee Staff, emails, phone numbers, physical addresses as well as biographical information regarding the committee members if you want to make your communication more specific to the Congress members interests. You can also access a Directory of all Representatives. See the issues to be discussed in the hearing and background information. See 180 Scientists Appeal. 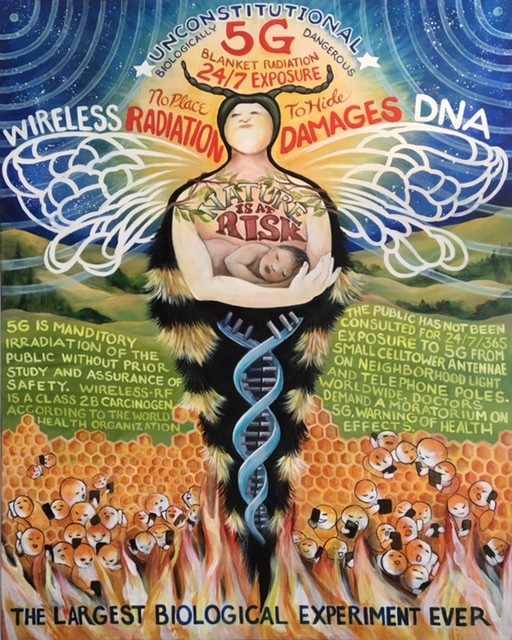 Ask they include testimony from 1 Scientist regarding wireless radiation health effects of the 180 Scientists who recently signed the recent Scientists Appeal demanding a moratorium on the roll out of 5G. Below is a sample message you can send to your Senators and Representatives: You can mail or fax them the letter. You can find your Senators here and your Representatives here. Peer-reviewed published science shows wireless radiation harms public health and nature. Health effects include: fatigue, headaches, sleep problems, anxiety, ringing in the ears, heart problems, learning and memory disorders, increased cancer risk, and more. Children, the ill, and the elderly are more vulnerable. International independent scientists are calling for biologically-based public exposure standards and reducing wireless radiation. We don’t want ugly cell towers, cellular antennas, and noisy coffin-sized cabinets in the rights-of-way outside of our homes, schools, and offices. More importantly, we don’t want the millimeter wave radiation that these antennas will emit: radiation of much high frequencies that are used for non-lethal weapons by our U.S. Army and create burning sensations of the skin. In addition, adverse effects on the eyes, immune function, DNA damage, fetal abnormalities, and antibiotic resistance are all related to exposure to millimeter wave radiation. The next possible date they could meet is Thursday, January 11. Senate Bill 637 (2017) was introduced by Senators Joe Hune and Mike Nofs on October 19, 2017 and referred to the Senate Committee on Energy and Technology, a committee they both sit on. Michigan Senate Bill 637 would allow telecom to install a small cell or distributed antenna system (DAS) on new and existing utility poles in our rights of way every 500 ft, installing new utility poles where necessary. They can add 10 ft. to the poles with their equipment, with ground equipment up to 28 sq. ft. allowed (the size of a refrigerator). SB 637 would give away public property – taxpayer supported rights of way, to the already wealthy telecom industry. It would streamline the permitting process for telecom, taking away county, township, city, village, district, and subdivision authority. It violates our fundamental property rights, and our right to be safe in our own homes. Locate the closest utility pole to your home. Imagine it 10 feet taller with a small cell transmitter on top, and possibly refrigerator sized equipment below. Here are some pictures of already deployed “small” cells. That IS what’s coming if we don’t stop this bill. Please continue to visit, call, write, and testify to the Senate Energy and Tech Committee your opposition to this bill! This is very similar to California’s SB649, which Governor Jerry Brown vetoed last month. It took A LOT of work to raise awareness of the bill and rally people against it, but we did, and we can do it again for the folks of Michigan, who deserve nothing less than our solidarity! If you’re not okay with your government granting special favors to utility companies and telecom, please let your legislators know! Jeanine Deal attended the Senate Energy and Tech committee meeting on November 2nd and gave testimony (testimony starts at about 1:20:00). Joan and Dan testified on November 9th (testimonies start at 17:40), and they both did an excellent job. Here is an awesome 5G flyer and 5G business cards! Please print and distribute as many of these flyers and cards as possible. Not sure who your Michigan State Senator is? Find out HERE. Here is a recent video of Kevin Mottus, wireless radiation health effects whistle-blower, on the steps of the US Supreme Court, talking about 5G. Here is a 2-sided flyer about Michigan SB 637, and here is a 1-sided flyer. Feel free to use, copy, and/or modify it to suit yourself. Contact MichiganSafeTechnology@gmail.com with questions. Please send in testimony asking legislators to support HB 4220! Please also sign this petition! Also contact Rick Snyder, Michigan Governor – who believes smart-meters are safe since they adhere to FCC guidelines (which we know are obsolete) at area code 517, 373-3400 & 335-7858. While you’re at it, ask him to VETO SB637 (the Michigan equivalent of California SB649). In 2017, Massachusetts introduced 7 bills to address wireless radiation and public health. More than a dozen citizens rearranged their schedules to speak directly to our legislators and 11 of them were taped; December 11th’s are at the bottom here. Bills are to be reported out of committee by February 7th, but some may go sooner so please submit your testimony at your earliest convenience if you haven’t done so already. You needn’t be from MA or even the U.S. to tell your story, or to simply ask for their leadership. Every testimony is an important seed planted for awareness: we have not only the legislators, but other key state-level public servants on the distribution. This measure would urge policymakers in federal, state, and local government to work in cooperation with one another to modernize and streamline the processes that will enable rapid deployment of the small cell wireless infrastructure that supports 5G wireless networks and that will bring the many benefits of this important new technology to communities across California. Sneaking onto the scene is Assembly Concurrent Resolution 62. Resolved by the Assembly of the State of California, the Senate thereof concurring, That the Legislature urges policymakers in federal, state, and local government to work in cooperation with one another to establish technology neutral policies and modernize and streamline the processes that will enable rapid deployment of the small cell wireless infrastructure that supports 5G wireless networks and that will bring the many benefits of this important new technology to communities across California It’s already passed the Assembly and Senate Committees it was referred to and looks like it’s due for a final vote. When’s the last time you received a paper copy of the Residential White Pages? If you’re one of the unlucky few that lives in an area where they’ve already been discontinued, you may never see one again. You may not be able to order one online or over the telephone! Telephone directories have become a necessity since the early 1900s, and the phasing out of paper directories is a major barrier to those with disabilities and those who simply prefer the convenience of a paper directory to a computer. Imagine if the dictionary went out of print and you had to use a search engine instead! Not everyone uses telephone directories, but they must be provided for those who still want them and ask for them on request. California is one of the few states where Residential White Pages can still be requested, but that option may no longer be available if Dex/Yellow Pages get their way. Due to dwindling numbers of people that request these once-necessities, they may no longer be an option. The Residential White Pages are an important community resource because it provides a convenient listing of addresses and phone numbers of everyone with a listed landline in a given geographic area. As you can see, neither of these are desirable options. The Residential White Pages are an important and irreplaceable resource for those who still want/need them. We must take action on this now to prevent the further disenfranchising of the public. Please call 1 (866) 329-7118 and request a print copy of the Residential White Pages for your area. It will be provided free of charge, if you are still eligible to get one. Even if you don’t actually need a directory, please request one to show solidarity with those who still use them. The only reason the Yellow Pages are still distributed is because advertising makes them profitable. Even if they’re not delivered automatically anymore, you can still always request one — not so with the White Pages! The White Pages don’t have advertising, which is why they’re in danger of going extinct. Please request ONE directory and ask that your friends and family all do the same, NO MATTER WHERE YOU LIVE. If you are told you can no longer get one, please ask to file a complaint and voice your discontent with their executive decision to discontinue the print edition of the Residential White Pages in your area. If you are still eligible, please request ONE and let the staffer know how valuable a resource the Residential White Pages are to a community. Why will this work? Because the corporations that provide these essential services don’t think they’re necessary anymore, because YOU are NOT requesting them. We must request them to express that there is still demand for them, and that it will not be going away anytime soon, if ever. Has AT&T forgotten that loyal landline customers have paid for its copper network many times over? The copper network that AT&T complains about continues to be extremely valuable for all of us. Plus, if AT&T’s 1 million or so landline customers each pay $40 a month for service, that means the company rakes in more than $480 million a year from landlines. As AT&T looks forward to the end of POTS obligations, others are crying foul. It’s possible this could be the last straw for reliable telephone service in Illinois. Contact the California PUC (below is contact info for commissioners) and underline for them why the copper landline telephone system must be retained. The purpose of the PUC workshop was to identify the current state of copper communications facilities usage in relation to the transition to IP technology. The speakers (1) provided an overview of their the existing copper networks, (2) discussed interconnection and wholesale dependencies on copper, and (3) identified the degree to which California consumers and small businesses rely upon existing copper-based facilities. For questions about the workshop, please contact Yan Solopov at yan@cpuc.ca.gov or (415) 703-5345. American Telephone & Telegraph Corporation has reneged on its promise to wait until 2020 before beginning its dismantling of PSTN landlines. Many AT&T customers have received this change in service notice. There is much discussion about the meaning, scope, timing and implementation of the notice AT&T customers are receiving. Basically, it says that unless you call and cancel your service with them in within 30 days, you automatically agree to allow them to install new network equipment on your property, which includes co-locating antennas, and that you agree to pay all the electric charges for this new network equipment. They are trying to expand their network using our real estate and have us pay to waste electricity broadcasting microwaves 24/7. Voice your opposition to any termination of analog, copper landline service. Some new customers have already been denied landlines, and AT&T pushed U-verse on them as the only option, which requires equipment to be installed on the house, just as they’re describing in this service notice. They then end up with a VoIP phone that is digital and requires internet access and electricity. This is the beginning of the dismantling of our analog landlines. We know that AT&T has been begging the FCC to let it happen for many years, and is targeting 2020. But this process has already been underway for a very long time. In some places it’s already a done deal. It’s going on now, and there’s not much more time to fight back and prevent this from happening. AT&T will start threatening our phone service if we don’t comply with the installation of electrical equipment on our homes that will begin to ‘migrate’ us from analog to digital. By law, AT&T cannot disconnect someone’s copper service. They have not been authorized by law to do that. AT&T can’t switch out the network, and they can’t disconnect copper and put in fiber. However, the notice bypasses any regulatory approval and states that a customer, by paying their bill, allows AT&T to do anything they want. If AT&T is allowed to discontinue the analog local loop, effectively eliminating your landline, you will no longer have dependable, reliable, common-battery telephone service. VoIP is currently unregulated, and AT&T is fighting to make sure that it stays that way. Call the CPUC to ask what this notice means and lodge a complaint: Public Advisor’s Office — (415) 703-2074 (At the recording, don’t select any of the options. There will be silence at the end and then you will be transferred to a person. Ask them how to file a formal complaint*.) Their office MUST receive many, many calls! When you call you MUST be persistent about filing a formal complaint! Demand that the PUC representative takes down your name, telephone number, and request to file a formal complaint. You must be persistent! Demand that the CPUC defend our rights! Call the CPUC Consumer Affairs Branch — 1 (800) 649-7570. They will take your information and can explain about filing a complaint and the process. 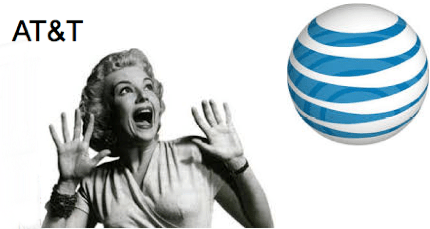 Write a formal letter of protest* (especially if you are one of their landline subscribers) to AT&T showing you paid for service beyond 30 days under duress of losing telephone service and immediately objected to the new terms. Call AT&T’s landline support number and complain: 1 (800) 288-2020. Ask for a center manager and let them know you object to the loss of your landline**. Get the location and employee ID number of the person you spoke with and their name, too, if they will supply it. File an informal complaint with the Consumer Affairs Branch. Include a copy of your account number, a copy of the change of residential service notice, and any correspondence with AT&T. Explain it in your complaint letter**. File a formal complaint with your PUC/PSC about AT&T’s residential service agreement changes in your state ASAP. In a formal complaint, you have to show how you have been harmed. When you file a complaint**, email TURN (see next step) that you have done so, summarizing for them the complaint, so that they can add to their list. They are considering filing a complaint themselves. You can also file a complaint through TURN’s website. Give them permission to being added to their complaint and provide your phone number to them. You can put TURN’s name down as a referring agency when you file a formal complaint, as this adds weight to your complaint. Complaints by mail can be directed to (CPUC Consumer Affairs Formal Complaints 505 So. Van Ness San Francisco, CA 94102) and complaints by telephone can be directed to the non-toll-free number (415) 703-2074, #1, 2, 1, 4, 0 to get to a person that you can complain to. See link for toll-free number. Click here to file a formal complaint. Email the Utility Reform Network (TURN) amontez@turn.org — California residents only. Let them know you filed a complaint at the CPUC and briefly describe what you said in the complaint**. They investigate trends. The more people they hear from, the bigger the issue for them. If you have questions or AT&T is not servicing your copper landline, call them at (415) 929-8876. Contact Commissioner Clifford Rechtschaffen: (415) 703-1840. Contact Commissioner President Picker: (415) 703-2444, who is interested in emergency services. Contact Commissioner Liane Randolph: (415) 703-2156. Contact your congressional reps and Senators. Send them a copy of the complaint or summarize your complaint, and ask for their help. Ask for a freeze on this policy, an investigation, and public hearings on customer needs and copperline landlines. Telephone your local radio station (using your landline)! Write editorials*** to your local newspaper! See this article that was recently published in the Montery Herald. Call your state and federal elected officials, using the information in this document. Attend city council and board of supervisor/county officials meetings; attend any and all in neighboring communities and counties. The public and elected officials don’t know about these proposals. Please inform in person as many of these municipal governments as possible. Since many of these meetings are televised, the message goes to a wider audience. Is your neighborhood on NextDoor.com? Are you? If the answer to both of those questions is yes, use it! Post questions like “Does anyone here object to cell towers in the neighborhood?”. Share information about local protests against cellular towers and alert neighbors as to how they can get involved to save their landlines and fight 5G. Be prepared to respond to a lot of not-so-nice feedback. So, in order to be credible, make sure what you post can be well-cited, especially if you post in the Silicon Valley areas. In defense and support of loyal landline users everywhere, use a rotary phone instead of a TouchTone phone! Because rotary phones generally only work with landlines and cost the phone company more to support, you can silently make your opposition known every time you make a call by using a rotary phone instead of a TouchTone phone. Changes from copperline service to wireless or with new electric connections could worsen disabling health effects for the EMF-disabled, including the installation on neighboring buildings, homes, or units. Will have to find a new service provider if they don’t agree with AT&T. Consumer cost of electricity for new systems. There is no 911 or emergency service or telephone service with VoIP or digital service in power outages. Copperline landlines normally work in a power outage and provide 911 and all other phone needs. Notice is misleading, threatening, and coercing. Changes have not been approved by the CPUC. AT&T is asking for a blank check with this notice. We do not consent. These are not all the newspapers in California, but some of the regional ones. Keep your letters at 150 words max; newspapers may edit them. The shorter it is, the better chance of being published. If you are sending your letter to an email address, include your full name, mailing address, city of residence, landline telephone number, and email address. See www.scientists4wiredtech.com if you want talking points on SB 649. Commissioner Rosenworcel aims “to take in the public stories and ideas. And I will share everything that comes in with the Chairman and with my colleagues, because I think it’s time to turn every one of those ‘broadband fails’ into something better–‘broadband success.’” Remind the commissioner that state laws require municipalities to hold liability insurance in the event of damage or injury caused by antennas installed on public right-of-ways; that state laws require municipalities to hire independent PEs to assess infrastructure like “small” cells before installation and that municipalities are required to obey OSHA/FCC limits to protect workers from over-exposure to radiofrequency radiation. Let Commissioner Rosenworcel know that you want wired Internet access, delivered via fiber optics. You do NOT want wireless delivery via “small” cells on PROWs, since wireless delivery is not safe, secure, reliable, enduring (cost-effective) nor energy efficient. Fiber optics is. Let Commissioner Rosenworcel know that you do not want to compromise your family’s health or privacy with untested 24/7 exposure to millimeter wave frequencies emitted by “small” cells mounted on lamp posts, traffic lights and rooftops near our homes, schools and businesses. The FCC wants to “Accelerate Wireless Broadband Deployment by Removing Barriers to Infrastructure Investment” and “Revising the Historic Preservation Review Process for Wireless Facility Deployments”. These dockets are to accelerate the deployment of 5G by preempting local government siting authority. Please take a moment to file a comment in this docket too. Since the dockets are very similar, possibly identical, file the same comment if you don’t have time to tweak it! More information about these dockets can be found here, here, and here. Send in comments and documents! Please take a moment to file a reply comment in these dockets. A sample comment is below. The single most important thing you can include is research supporting the need to halt rollout of 5G and preserve the copper line phone system. If you have a good internet connection and a bit of time, please be sure to upload plenty of research showing the negative health and environmental consequences wireless technology is having. I understand that they have to include anything actually posted into the docket in consideration, but may not consider documents that are only included as links, so please take the time to upload the documents in their entirety. WT Docket 17-84 will take away local control and “deem granted” all applications. You will not have a say if these small cell antennas are placed in front of your home every 2-10 homes. Your local government will not be able to help you because they will have no power. Additionally, it will dismantle the copper line phone phone system. See what WHATIS5G has posted about this docket! Read this FCC release, starting on page 18. Click here for notice; click here for proposed rule. Antennas on light poles could be coming to your area! Watch this 2 minute video. Here is an excerpt from the proposal linked in Step 1: We seek comment on whether Section 253 of the Act provides the Commission with authority to preempt state laws and regulations governing service quality, facilities maintenance, or copper retirement that are impeding fiber deployment. Do any such laws “have the effect of prohibiting the ability of [those ILECs] to provide any interstate or intrastate telecommunications service?” Are such laws either not “competitively neutral” or not “necessary to preserve and advance universal service, protect the public safety and welfare, ensure the continued quality of telecommunications services, and safeguard the rights of consumers,” such that state authority is not preserved from preemption under Section 253(b)? Commenters arguing in favor of preemption should identify specific state laws they believe to be at issue. Would preemption allow the Commission to develop a uniform nationwide copper retirement policy for facilitating deployment of next-generation technologies? Are there other sources of authority for Commission preemption of the state laws being discussed that we should consider using? Please take a moment to file a comment regarding this docket (in ALL THREE DOCKETS)! When submitting your filing, submit backup documents into the record. Links may not be considered “in the record”. Submit as many documents as you can — research, etc. If there are duplicate postings by others, then the FCC can’t miss them and this will be a valuable record for the future. In your comment please state facts, emphasize safe alternatives, use specific evidence for supporting your views. Please include specific symptoms and experiences you have had. Format your response as a PDF document (Use letterhead!). We plan to write letters to the President on a regular basis. If we all send in our letters on the same day, that may be more effective. While the letters and post-card below are starting points, we encourage everyone to write their own personal letter. If we could all send emails on the same day, that would be even better. Be sure to voice your opinion to the White House as well: (202) 456-1414! We plan to repeat our calls, emails, and letters every week until the White House responds.